ReSYNC Your Life | Samir Becic | Audiobook Download - Christian audiobooks. Try us free. 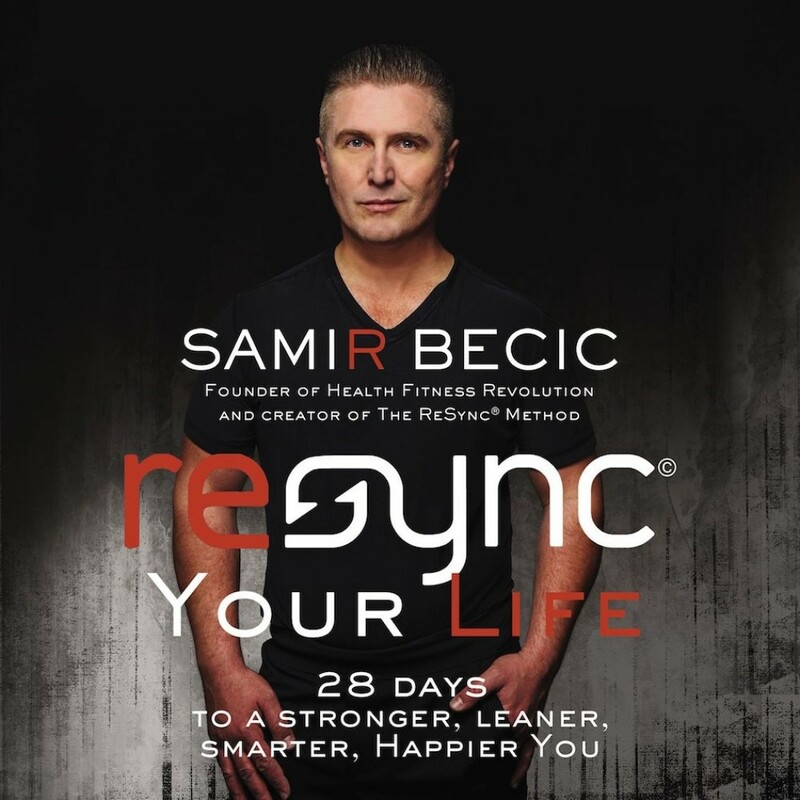 Named “#1 Fitness Trainer in the World” four times in a row, health and fitness expert Samir Becic motivates readers to become a stronger, leaner, smarter, and happier version of themselves in 28 days by using his revolutionary and highly effective ReSYNC® Method. Samir Becic is one of the most celebrated fitness trainers in the world. His revolutionary ReSYNC® Method shows people how to resync their minds and bodies for optimum health and fitness so that they live fully and healthy, the way God created them. A whole body-mind approach, ReSYNC® is an alternative training program that encompasses physical fitness, nutritional health, and mental and spiritual balance. The power of the ReSYNC® Method comes from its simplicity. It uses the body’s own movement and natural resistance instead of costly or heavy equipment, which allows followers to push their bodies to their full potential without harming themselves. As a result, athletes and exercise buffs consistently tout it as more effective than gym training. The nutrition plan includes foods that lead to glowing health, a leaner physique, and increased brain power. And the spiritual component encourages prayer and meditation techniques linked to better health. Samir Becic’s proven strategies, implemented with tens of thousands of clients for more than 15 years--from Lakewood Church to Bally Total Fitness Clubs--will help readers ReSYNC® their body, mind, and spirit to be everything they were meant to be.